The Official Raabi Bani Website. Watch Live Gurbani , Shabad Gurbani Kirtan . The Read Nitnem And More Rabbi Bani . 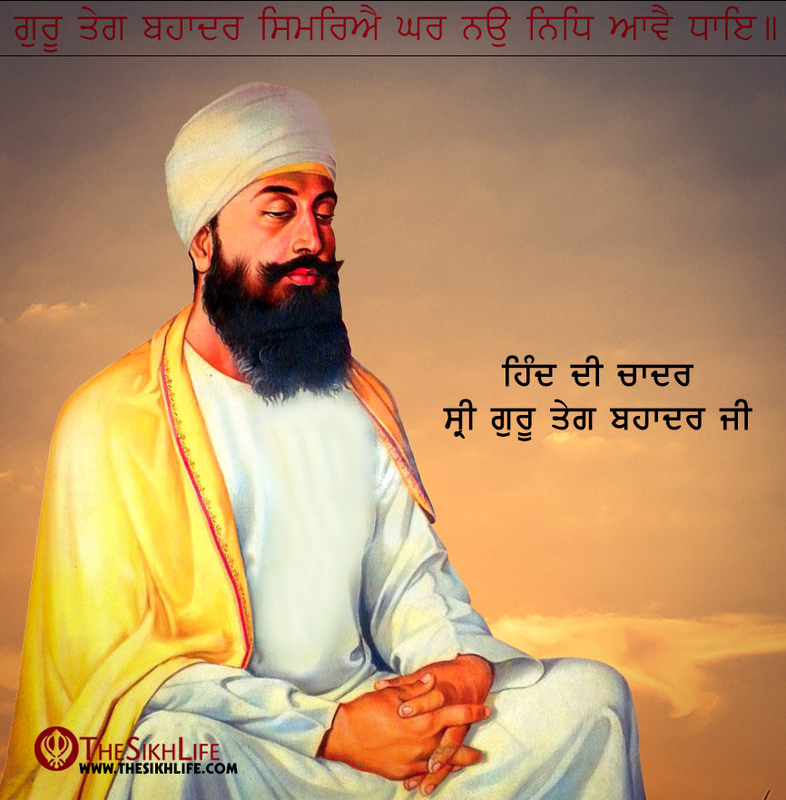 Guru Tegh Bahadur 1 April 1621 – 24 November 1675,), revered as the ninth Nanak, was the ninth of ten Gurus of the Sikhreligion. Tegh Bahadur continued in the spirit of the first guru, Nanak; his 115 poetic hymns are in the text Guru Granth Sahib. Tegh Bahadur resisted the forced conversions of Kashmiri Pandits and non-Muslims to Islam, and was publicly beheaded in 1675 on the orders of Mughal emperor Aurangzeb in Delhi for refusing to convert to Islam. Gurudwara Sis Ganj Sahib and Gurdwara Rakab Ganj Sahib in Delhi mark the places of execution and cremation of the Guru's body. The martyrdom of Guru Tegh Bahadur is remembered as the Shaheedi Divas of Guru Tegh Bahadur every year on 24 November, according to the Nanakshahi calendar released by the Shiromani Gurdwara Parbandhak Committee in 2003. THIS WEBSITE HAS BEEN UPDATED ON 08-04-2019.